The White House is calling off President Donald Trump's scheduled visit to a World War I cemetery due to poor weather. Trump was slated on Saturday to visit Aisne-Marne American Cemetery near the village of Belleau, France. It's the site of a 1918 battle in which the American and French repelled German forces. More than 1,800 Americans died there. The battle looms large in the history of the U.S. Marines Corps. Trump was supposed to participate in a wreath-laying and a moment of silence at the site. It has been raining in Paris all day and the weather prevented Trump from arriving via helicopter to the site, which is more than 50 miles east of the French capital. White House chief of staff John Kelly, a retired Marine Corps general, his wife and Secretary of State Mike Pompeo will visit instead. His hair, silly. He went on and on about his wet hair at a rally recently. I bet it smells like wet dog. I helped plan all of President Obama’s trips for 8 years. 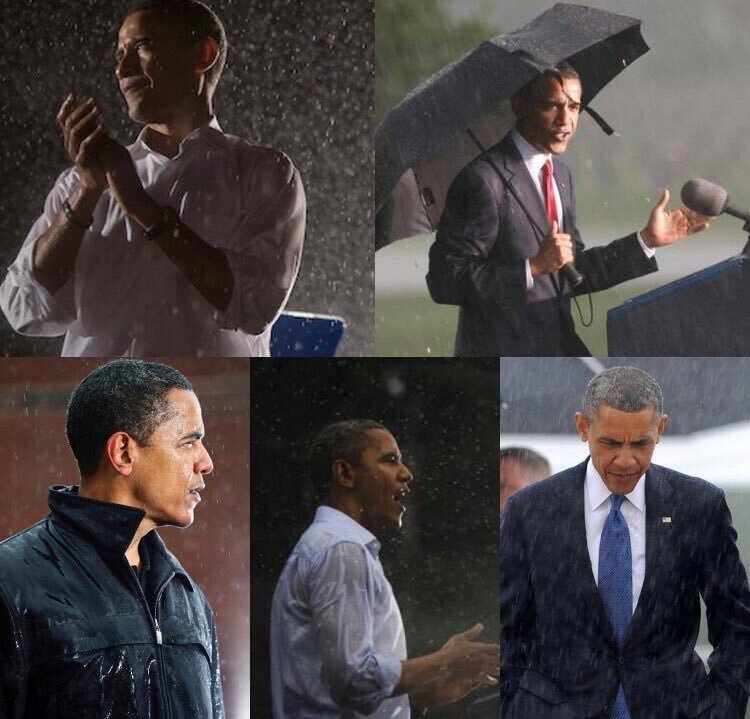 There is always a rain option. Always. Go to the link and read the entire thread. DOTUS is raising some eyebrows for not going to the events because of rain. Nicholas Soames, grandson of Winston Churchill and a former member of British Parliament, slammed President Donald Trump for skipping a cemetery visit during a World War I commemoration in France because of inclement weather. He's getting pounded by the world, while he's likely sitting in his rooms over the Florida recount. 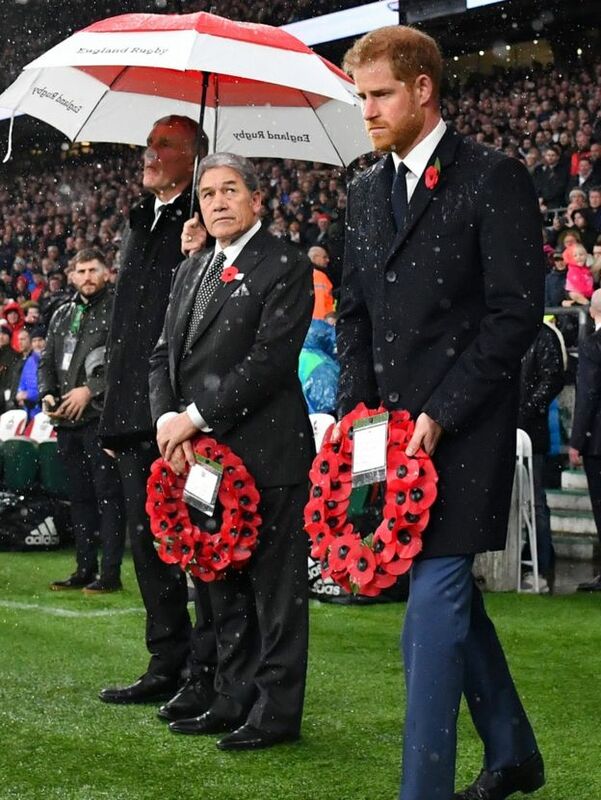 Hmm - Prince Harry did not pretend to have bone spures and served ten years in the army, including a couple of tours in Afghanistan. He will be weather hardend. I don't think (m)any of the royal family will have remained at home when bad weather hit their holiday place in Balmoral. To call Trump scum would be to insult scum. A coward, the worst of the worst. When you think "surely he can't sink lower", he does and more. at the people of the USA for choosing him to be their leader anc representative. Does this topic and the embarrassing behavior of DOTUS have a hashtag yet? Who are the lucky WH staffers already scheduled on the Sunday morning talk shows? I bet it's one inch wide and 15 feet long. Apparently EGOTUS cancelled on the bone spur of the moment. "I am no longer accepting the things I cannot change. I am changing the things I cannot accept." Dotus missed a chance to impress the veterans. I’m also seeing so far unconfirmed reports on Twitter that he hasn’t shown up at the fancy state dinner he’s supposed to be hosting. I believe Macron is the host. There are lots of pics on The Twitter of the dinner, and trump was there, chatting with Erdogan and Mrs. Erdogan. A Canadian journalist reported that trump hadn't shown up, but there is a lot of evidence that trump did, in fact, attend the dinner. Pictures of EGOTUS at the dinner but Melania was a no show. There were a lot of couples so I assume she was invited as well. Several snarky reasons why she wasn’t there come to mind, but I’ll refrain from commenting further. That article includes a picture of Trump and Melania with the Turkish president and his wife at the dinner, so Melania was there. Glad you posted that, NMgirl. I had seen many pictures of couples as they arrived but Melania wasn’t shown.